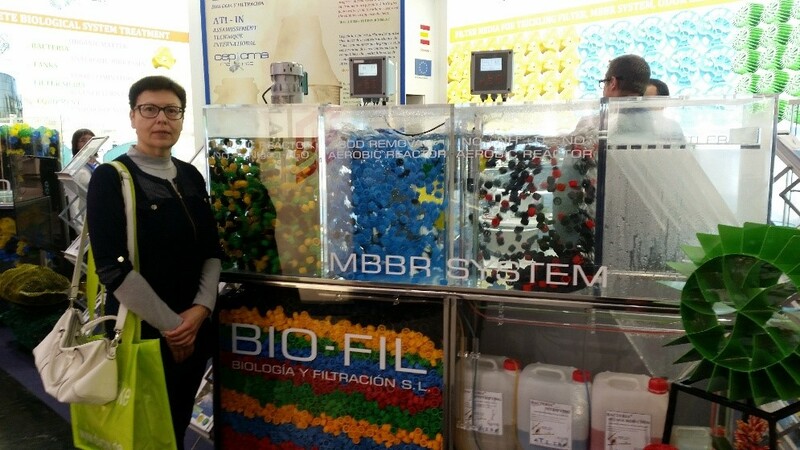 IFAT is the World's Leading Trade Fair for Water, Sewage, Waste and Raw Materials Management, there strategies and innovative solutions are showcased that allow resources to be used in intelligent cycles to ensure their long-term preservation. Executors of the BSR Interreg project ,,VillageWaters“ from Aleksandras Sulginskis University, prof. dr. Laima Cesoniene, assoc. prof. Daiva Sileikiene (Institute of Environment and Ecology, Faculty of Forest Sciences and Ecology), assoc. prof. Midona Dapkiene, assoc. 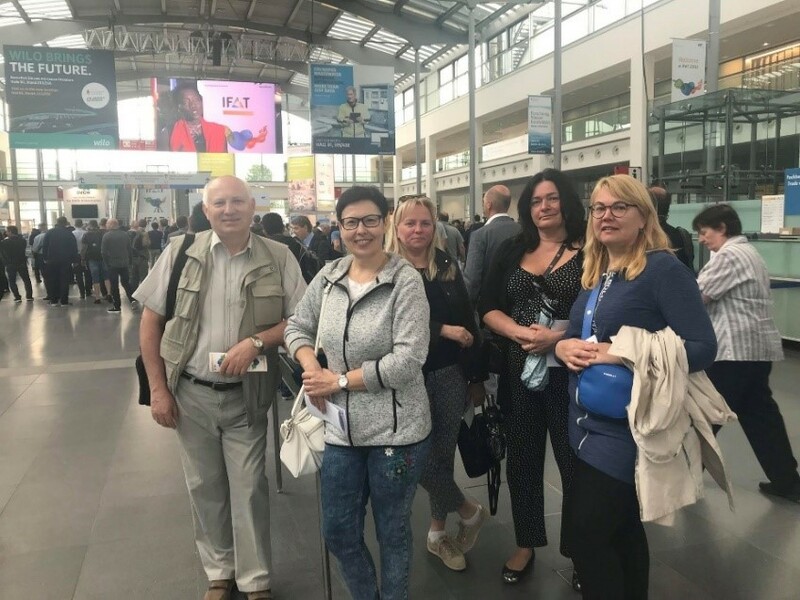 prof. Algirdas Radzevicius (Institute of Hydraulic Engineering, Faculty of Water and Land Management) and lecturer Ausra Malakauskiene (Institute of Economics, Accounting and Finance, Faculty of Economics and Management) visited IFAT Fair 14-18 May 2018, Munich, Germany. From sewage treatment plants to the use of comminution machines in refuse treatment, IFAT encompasses all application areas in the field of modern, forward-thinking environmental technologies. The innovations presented at IFAT aim to promote the sustainable use of the available resources in order to protect and improve our quality of life and the state of the environment. More than 141000 visitors from more than 160 countries came to Munich IFAT trade fair center this year. 3305 exhibitors from 58 countries presented their products and innovations for the booming environmental industry. 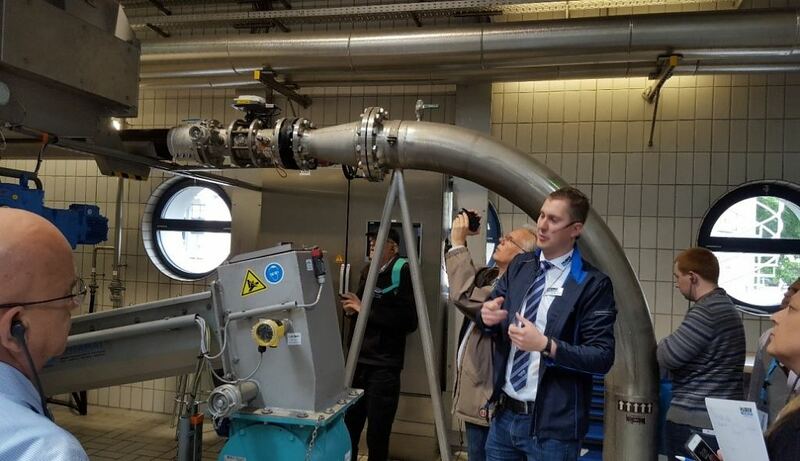 During the period of the fair ASU teachers had the opportunity to visit Freystadt solar sewage drying plant, Innsbruck sewage treatment plant and HUBER SE production site. 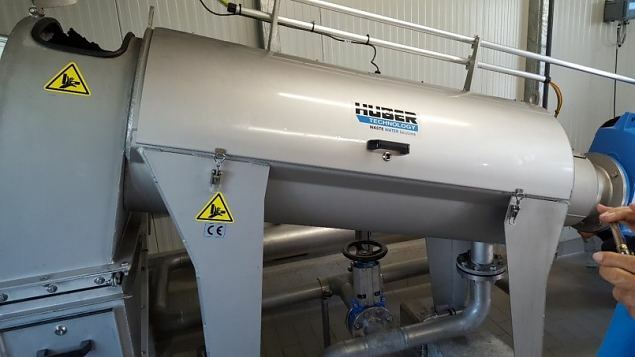 The municipality Freystadt in the intermediate vicinity of the HUBER SE headquarters is building a complete sewage sludge drying plant on its wastewater treatment plant. The new plant will go into service just before IFAT. The process steps sludge dewatering – distribution – solar drying will be managed by HUBER machines. About 8,000 residents are connected to WWTPFreystadt. Previously, they commissioned a contract dewatering company to dewater the sludge generated on site. 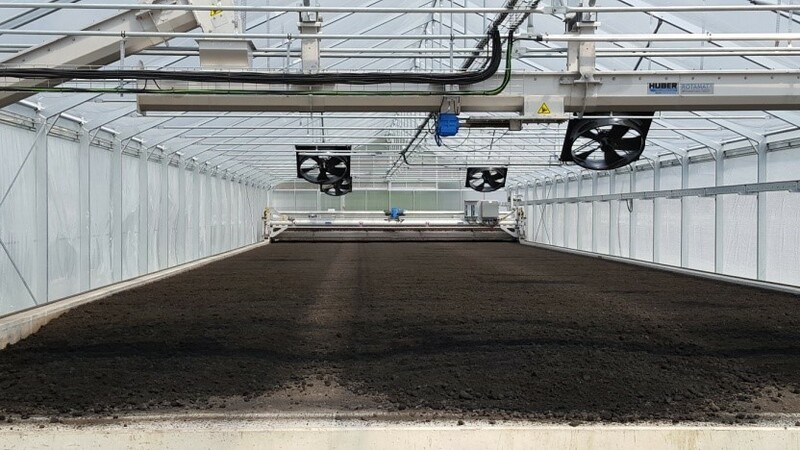 The new solar drying plant consists of the following process steps: the sludge from the sludge storage ponds and cold digesters is pumped inside to the HUBER Screw Press Q-PRESS® 280 that dewaters the sludge. Two HUBER Screw Conveyor Ro8 T units transport the dewatered sludge into a greenhouse where the solar dryer HUBER Sludge Turner SOLSTICE® takes over the sludge to be dried. The sludge is dried to 60-70% DR on a ground area of 45 m x 10 m. At the end of the drying process, 180 t dry granulate remain of the early 4000 m³ thin sludge. Innsbruck, the capital city of Tyrol, has approximately 130,000 inhabitants. The produced daily wastewater up to 145.000 m³ wastewater is clarified on the sewage treatment plant of Innsbrucker Kommunalbetriebe (IKB). 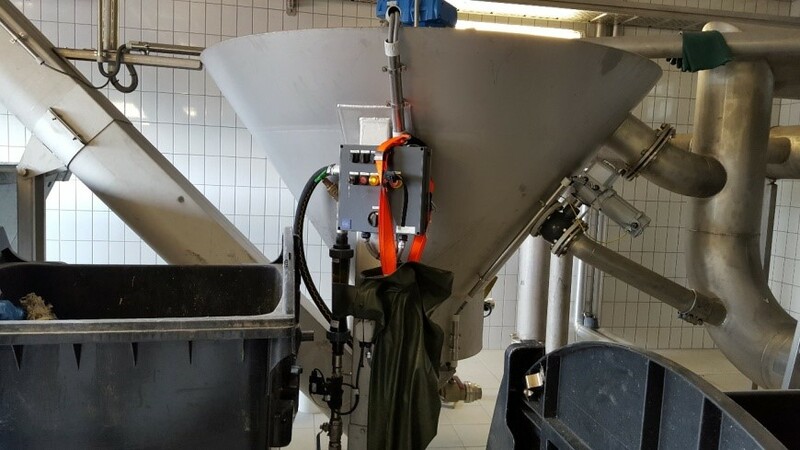 The 320 m³ thin sludge generated in the clarification process is dewatered mechanically by a HUBER Belt Thickener Drainbelt and six HUBER Screw Press Q-Press 440.0 units. The belt thickener has been operated on site since 2006, the screw presses since 2008. 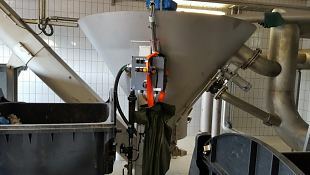 In 2017, IKB installed additionally a HUBER Belt Dryer BT 16. 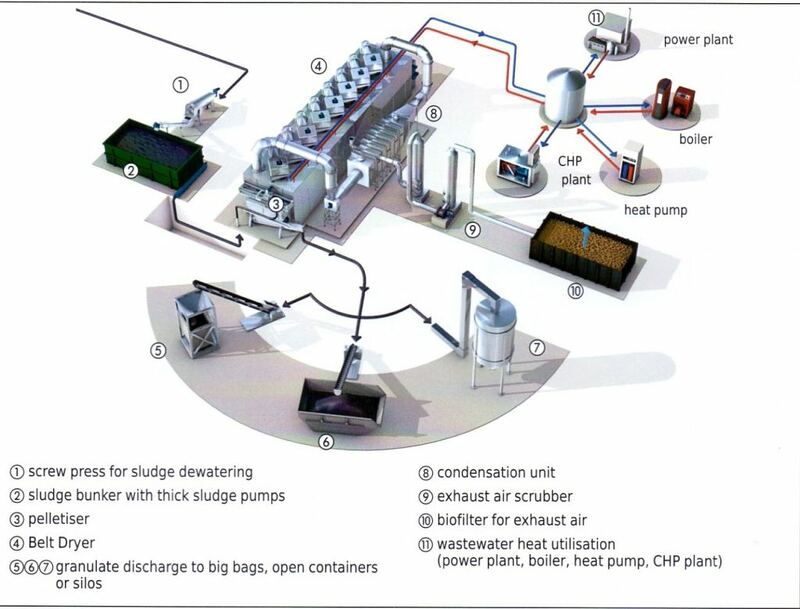 Through co-fermentation, adding approximately 70 m³ biowaste to the thin sludge, the waste - water treatment plant produces approximately 9,000 m³ biogas per day that is converted into heat and electric energy in two block heat and power plants. The generated exhaust heat is used in the operating medium temperature range of the belt dryer. The high temperature range supply comes from a 1,800 kW hot water boiler that is also operated with biogas at a temperature of 140 °C. Due to the heat recovery concept of the belt dryer more than 400 kWth can be fed to a district heating network to which the indoor swimming pool of the former Olympic Village and a nearby lake restaurant are connected. ➤ CO2 savings of 400 t per year through reduction of sludge transports due to a volume reduction in excess of 400 %. Executors of the BSR Interreg project ,,VillageWaters“ from Aleksandras Sulginskis University, prof dr IFAT is the World's Leading Trade Fair for Water, Sewage, Waste and Raw Materials Management, there strategies and innovative solutions are showcased that allow resources to be used in intelligent cycles to ensure their long-term preservation.